MCC’s $350.7 million Malawi Compact (2013-2018) was designed to address financial, operational, and governance challenges among power sector institutions through the $27.5 million Power Sector Reform Project (PSRP). 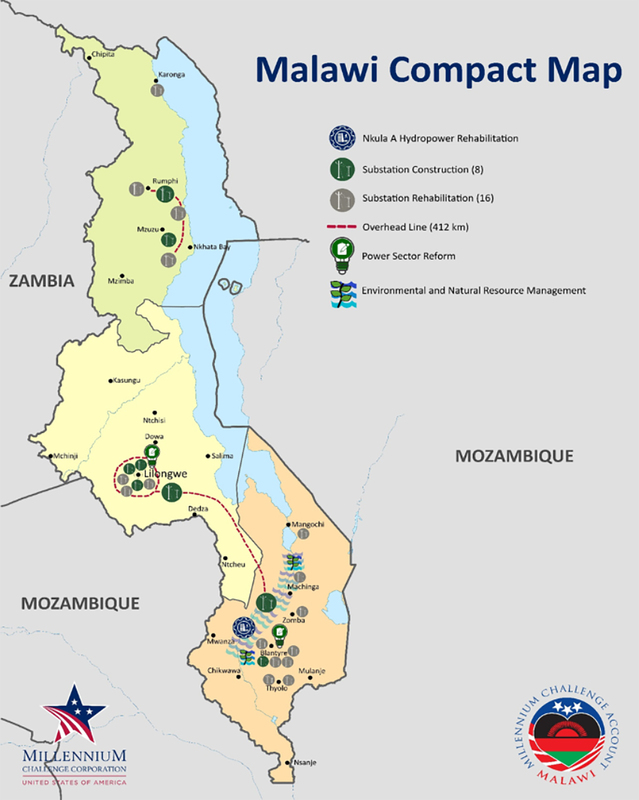 The project provided technical assistance and a management information system to support the theory that fostering an operationally and financially sustainable energy sector would ultimately lead to a reduced cost of doing business in Malawi, expanded access to electricity for Malawian people and businesses, and increased value-added production in Malawi. MCC commissioned Social Impact to conduct an independent interim performance evaluation of the PSRP to assess implementation and the achievement of intermediary outcomes. Full report results and learning: https://data.mcc.gov/evaluations/index.php/catalog/110. The PSRP is on track to complete steps needed to make key policy reforms in the sector but will require energy sector stakeholders to own the process. Rising tariffs, impactful technical assistance, and other compact preconditions have had a positive impact on the power utility’s financial sustainability. Electricity tariffs have risen but remain too low for the utility to recover full operating costs and capital investments. While PSRP activities have produced some improvements in utility operations, midway through the compact, operations and corporate governance were the weak link in the reform process. Legislative reforms have improved the investment environment, creating more predictable legal steps for private firms to enter the power sector. What were the results of the interventions on targeted outcomes – intended and unintended, positive or negative? What is the quality of PSRP implementation? What are the lessons learned and are they applicable to other similar projects? PSRP yielded several important deliverables including a financial model, a framework for independent power producers, and strategies for electricity loss reduction. These efforts are all crucial for power sector recovery and primarily target the utility, ESCOM (Electricity Supply Corporation of Malawi). Working relationships between consultants and utility staff were generally rated to be ‘good’ or ‘very good,’ although time and effort was needed to develop mutual trust. With a few exceptions, the quality of deliverables was also rated ‘good’ or ‘very good.’ Both the perceived quality of deliverables and strength of working relationships is important. Only utility managers and staff can convert deliverables into meaningful reforms and good business practices. The building blocks for recovery are on the table; now they just need to be owned by power sector stakeholders. 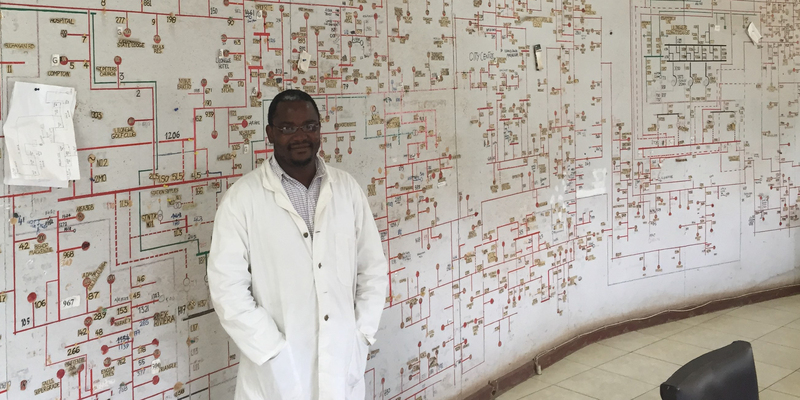 ESCOM’s finance department has been strengthened by the project’s technical assistance component. The teams worked together to develop a financial model, quarterly financial reviews, improved budgeting processes, and mentorship programs. These gains are likely to outlast the compact. The future of cost recovery tariffs remains less certain. While tariffs have risen, the regulator has been slow to increase tariff rates sufficiently to match utility operating costs. The reluctance to raise electricity prices is largely political; the public was especially outraged over recent drought-driven load-shedding and continues to be frustrated with ESCOM’s normal operating performance. PSRP has had some early successes in improving utility operations and corporate governance. Before the compact, procurement was one of ESCOM’s most salient weaknesses. By the time of data collection, ESCOM had begun using an annual procurement plan, increased the number of staff working in the procurement department, and emphasized the strategic importance of procurement on the managerial level. Despite these gains, audits have shown persistent shortcomings. There have been new allegations of corruption and political influence. There have also been difficulties maintaining stocks of important maintenance and service materials. Similarly in corporate governance, ESCOM’s board continues to be seen as politically influenced. This is despite signing a new Board Charter, developed though the project, that mandates its political independence. The government of Malawi and the donor community lack the resources necessary to meet the country’s demand for new electricity generation. As such, PSRP has promoted an enabling environment that can attract independent power producers (IPPs). With PSRP involvement, the Electricity Act was amended to allow for the restructuring of ESCOM, including the creation of the new Electricity Generation Company. At this interim stage, a large quantity of IPPs were interested in investing in the Malawi power sector, including several that had signed early-term agreements. A tender for bids has already been released for solar electricity. As a direct result of the PSRP, there have been substantial regulatory, process and capacity improvements including the adoption of an IPP Framework, a Grid Code, a tariff methodology, and standardized term sheets. In addition, potential investors cite MCC’s presence and engagement as a positive signal for investment. Utility improvements in financial and operational performance must be paired with meaningful changes in sector governance in order for results to be achieved and sustained over time. Reform interventions should leverage strategies to build commitment to reform goals, such as supporting activities that lead to visible, tangible results for consumers. Reform interventions should be of sufficient duration and flexibility to respond to obstacles and new information, and to adapt to changing circumstances. Ultimate reform goals may be built on smaller but critical early investments in a utility’s financial management and information systems. The performance evaluation methods include a process evaluation to assess implementation, as well as analysis of qualitative data, process mapping, and a review of quantitative indicators to evaluate outcomes targeted by PSRP. Data collection activities included document review, key informant interviews, process mapping, and quantitative indicators. Data collection took place in November 2016 and was compared with baseline data collected by the evaluation team in February and March 2015. PSRP activities had been underway for 3 years at the time of this study. Document Review: PSRP technical assistance produced a wealth of information through various reports and deliverables. These documents provided initial answers to many of the evaluation questions. Key Informant Interviews: Key informant interviews and group interviews were conducted with a series of PSRP stakeholders, including ESCOM personnel and management, MCC and MCA-Malawi personnel, PSRP consultants, regulator and ministry staff, potential investors, and members of civil society. In total, 120 individuals participated in interim data collection activities through key informant and group interviews. Process Mapping: Using a process mapping methodology, the evaluation team explored a set of distinct tasks or processes expected to improve or become more efficient as a result of the compact, such as responding to power outages and conducting a procurement. Quantitative Indicators: As part of the MCA-Malawi M&E Plan, a series of indicators are tracked including: financial indicators (e.g., cost recovery ratios, debt-equity ratio, and the current ratio); billing-related indicators (e.g., the bad debt ratio and average collection period in days); and operational indicators (e.g., the maintenance expenditure ratio). A final study of PSRP will occur in 2019, with results expected in 2020.